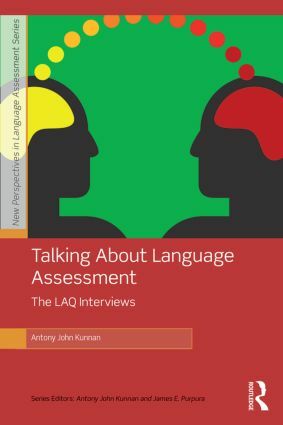 Talking About Language Assessment is the first book to take an interview-based approach to the history of language assessment. This collection consists of interviews originally featured in Language Assessment Quarterly with renowned language assessment experts. Contextualized with commentary by the editor, the articles in this text cover many of the essential areas of language testing and assessment including assessment design, validation argument, epistemological issues in research, and language assessment policy. This text is a valuable compilation on the history of language assessment, and an ideal resource for researchers and students in the field of language testing and assessment. Antony John Kunnan is Professor of English at the Nanyang Technological University, Singapore. He is the editor of The Companion to Language Assessment (2014), the founding Editor of the journal Language Assessment Quarterly (2003-13), as well as Past President of the International Language Testing Association. Headed by two of its leading scholars, this exciting new series captures the burgeoning field of language assessment by offering comprehensive and state-of-the-art coverage of its contemporary questions, pressing issues, and technical advances. It is the only active series of its kind on the market, and includes volumes on basic and advanced topics in language assessment, public policy and language assessment, and the interfaces of language assessment with other disciplines in applied linguistics. Each text presents key theoretical approaches and research findings, along with concrete practical implications and suggestions for readers conducting their own research or developmental studies. A companion website to the series houses such features and tools as book chapter outlines and summaries, sample testing materials, test performance data, activity sheets, quizzes, annotated bibliographies, web links to relevant institutions, and much more.